Let’s face it. Portfolio reviews can be insanely nerve wrecking. You’re standing there in line with dozens of other model hopefuls, clutching your portfolio with sweaty palms, heart pounding out of your chest, just praying to the publishing gods that you somehow stand out in a sea of talented men and women. First step? Breathe in. Exhale. Be confident. Take it from those of us sitting on the other side of the table: this ain’t easy. We’re completely aware how intimidating this experience can be and we want you to get the absolute most out of it (why else would we be here?) So relax. As long as you follow this advice, you’re going to shine like the star you are. 1. COME PREPARED. And I don’t just mean with your portfolio and resume. Prep the night before so you know what you’re going to say and how you’re going to say it. 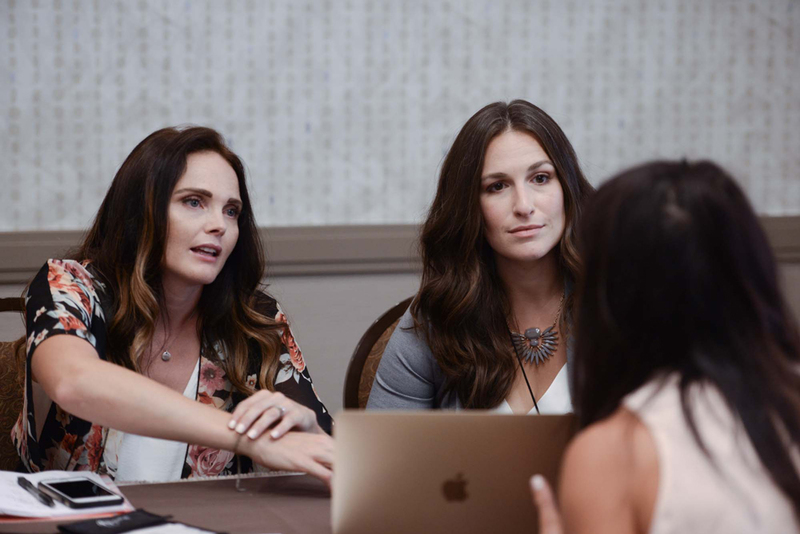 You only get a few brief moments with each panelist, so don’t be afraid to jot down the key points you want to mention, otherwise, you’re definitely going to forget. Secondly, know exactly which editors/reviewers you want to meet with. It doesn’t hurt to do a quick Google search for each of them so you’re a little familiar with their experience and work. 2. KNOW YOUR BRAND. 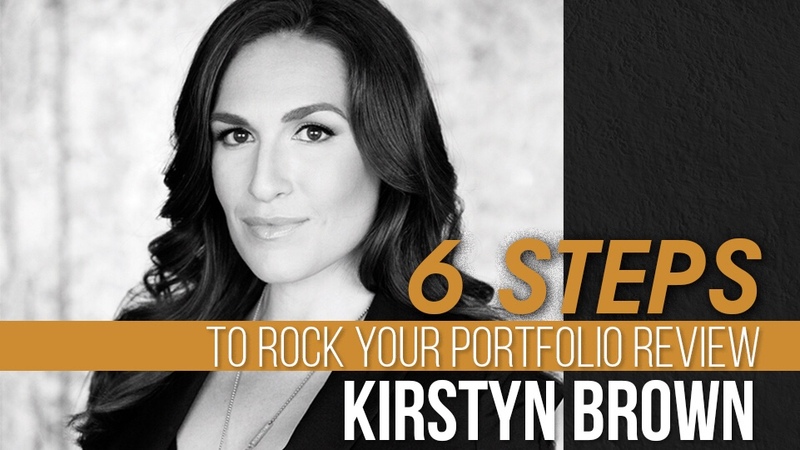 I would highly advise against just tossing your portfolio on the table and saying you want to inspire people. That’s making the editors/reviewers work too hard to figure out who you are and where you fit into their brands. We all want to inspire people — that’s a given. You need to know exactly WHO you want to inspire and HOW you and your brand will reach them. Does your brand help busy mothers? Older women? People struggling weight loss? Once you’ve determined your audience, you have to stand out to them. So, in what unique ways will you reach your audience that is different from what everyone else is doing? Put all of that into a tidy package that can be described in 2-3 sentences and voila! You’re now more marketable. 3. KNOW THEIR BRAND. You guys. Are you paying attention? Because this is key. If you present yourself to reviewer and know nothing about the brand he or she represents, you’re only hurting yourself. Take the time to familiarize yourself with the companies you want to work with and determine how you fit into their brand. So for example, if the brand is a women’s magazine, and you’re a man, it may not be the best fit, and vice versa. Hot tip: having a little background knowledge shows how serious you are about working with that brand and will make you more memorable. 4. LISTEN. Again, time is precious and you don’t have a lot of it. Sit down, present yourself as effectively and concisely as you can and then allow the reviewer to speak. If you have a question and you run out of time, get back in line and come back to them, or ask if you can take five minutes of his or her time after the review to ask a follow-up question. And always, take notes. 6. FOLLOW UP! If there was an editor or panelist you felt you particularly connected with, tell them! Stick around after the review panel or approach them in the evening at the social event and tell them you found their advice helpful, thank them for their time, or whatever is on your mind. This is a good time to leave a business card as well, to help them remember you. I truly respect Strong magazine. I am so pleased to have the opportunity to meet with you and hear your feedback. I recognize your experience in this field and am looking forward to any advice you might have to help me accomplish my goal to empower older women NOT to give up on their health, fitness and themselves as women are caretakers.